Shipping Price Calculator Online for any eCommerce Website. Real-time Shipping Price Calculator For Your Website. Shipping Price Calculator embedded in your website allows your customers to choose their preferable shipping methods or courier, based on the actual price. The price is fetched directly from couriers' or Post Office's databases. 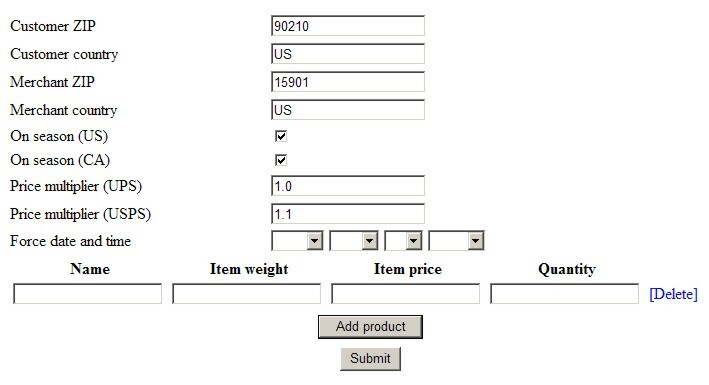 You can add your packing markup, if necessary. In the competitive market place, there is no need to estimate and allow for errors in over or under pricing. Important is that your customer does not leave your website in a critical moment and it minimize risk of shopping card abandonment.